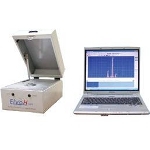 XRF analyzer "ElvaX" is a desktop energy-dispersive X-ray fluorescence EDXRF analyzer spectrometer which does not require liquid nitrogen cooling for storage and use. 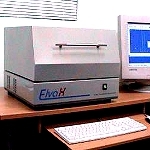 ElvaX EDXRF analyzer spectrometer is used for quantitative and qualitative elemental analysis of metal alloys, liquids, food and biological samples, powder assays, as well as samples deposited on surfaces or filters, in the element range from Cl (Z=17) to U (Z=92) in a wide range of element concentrations. 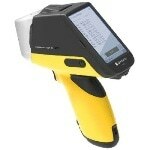 The accuracy of determining concentrations is better than 0.3% for metal alloys. 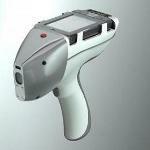 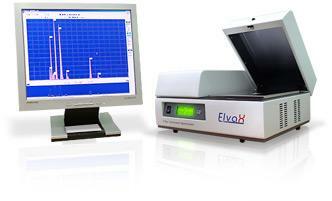 The ElvaX XRF analyzer detecting limit is better than 1 ppm for most elements in light matrix. 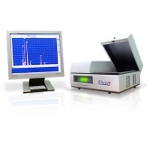 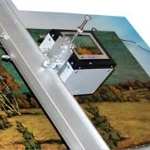 The EDXRF spectrometer analyzer is registered in the State registry of measurement instruments accepted for usage in Ukraine under the number Y1411‑01. 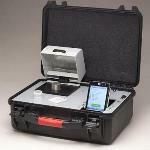 Certificate of the measurement instrument type is UA‑MI/1‑971‑2001.